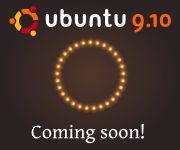 Ubuntu 9.10, the user-friendly, free, Linux-based operating system, is to be released tomorrow (the 29th of October 2009). Canonical, Ubuntu’s corporate sponsor, states that Ubuntu 9.10, codenamed Karmic Koala, ‘puts the user at the heart of its new design’, and being an Ubuntu user myself for about three years and a Linux user for significantly longer, I can certainly agree. Having been a tester of Ubuntu 9.10 during its development, I can tell you that Ubuntu 9.10 will feature the following upon its release. E-mail and Chat Features – Ubuntu 9.10 will feature a built-in instant messenging client, Empathy, which can connect to many of the most popular instant messaging services, including Yahoo, Gmail (Google Talk), MSN (Windows Live), Jabber, AOL, QQ and many more. In addition to instant messaging, the latest version of the e-mail and personal information management program, Evolution, is included. Evolution can manage your contacts, e-mail, schedule, tasks and memos – all for free. Music and videos – Music and videos are managed with ease in Ubuntu 9.10. Simply plug in your iPod, PSP, MP3 or MP4 player and use the built-in media player, Rhytmbox, to download, store, buy and play your music collection. Ubuntu 9.10 can play many video formats with no problems and anything it can not play it will offer to download and install the required codecs automatically, and for free. Office and productivity – Word processing, spreadsheets or presentations can all be handled by the latest version of OpenOffice.org which is including in the latest version of Ubuntu. OpenOffice is compatible with all other office applications including, but not limited to, Microsoft Office. Store, share and synchronise – Ubuntu 9.10 features integrated ‘Ubuntu One’ service, which allows you to easily and seamlessly synchronise your contacts, notes, files and folders between all your Ubuntu computers. Even if you are on a computer running Mac or Windows you can still access all your files online, meaning you’ll never be at computer without your files. Software centre – The brand new software centre for this version of Ubuntu allows you to download and install thousands of free and open-source applications automatically with only 2 or 3 clicks. Gaming – Linux-based systems are generally not well known for their gaming prowess. However, Ubuntu 9.10 ships with the ability to download over 400 fun games directly from the built-in software centre. All these games are still completely free and installable with only a few clicks. This latest version of Ubuntu provides advantages for both business workstations and home user desktops. Although not mentioned in this article so far, for enterprises and small home/offices, the server edition of Ubuntu 9.10 is also released tomorrow alongside the desktop edition. For more information about Ubuntu, visit the official Ubuntu website.